DOEprojekts attended the Creative Time Summit held in the Teatro Alle Tese, Arsenale, Venice, from August 11 -13, 2015. 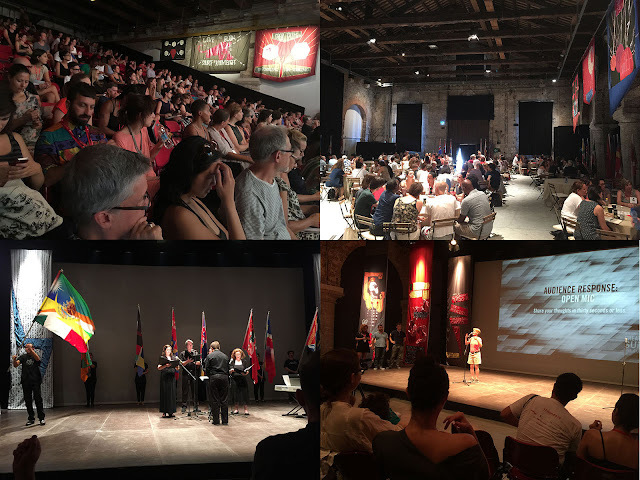 This 2015 Summit is the first conference of artists at the 56th International Art Exhibition of la Biennale di Venezia, titled All the World's Futures. 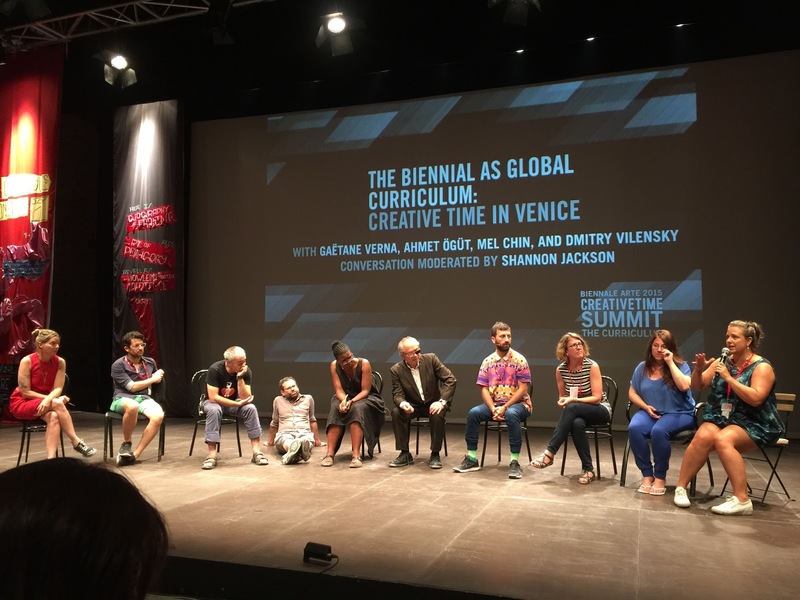 The Summit's artist-presenters addressed many social justice issues seen through the lens of curriculum — learning, education, and "knowledge production." The Summit's keynote speakers included Amy Goodman from Democracy Now!, an independent global news source. Goodman gave a graphic account of her experiences in the 70's, as a journalistic eye-witness to the East Timor genocide. In another keynote presentation, artist Mariam Ghani interviewed her father, Ashraf Ghani, the recently elected President of Afghanistan (via Skype link). 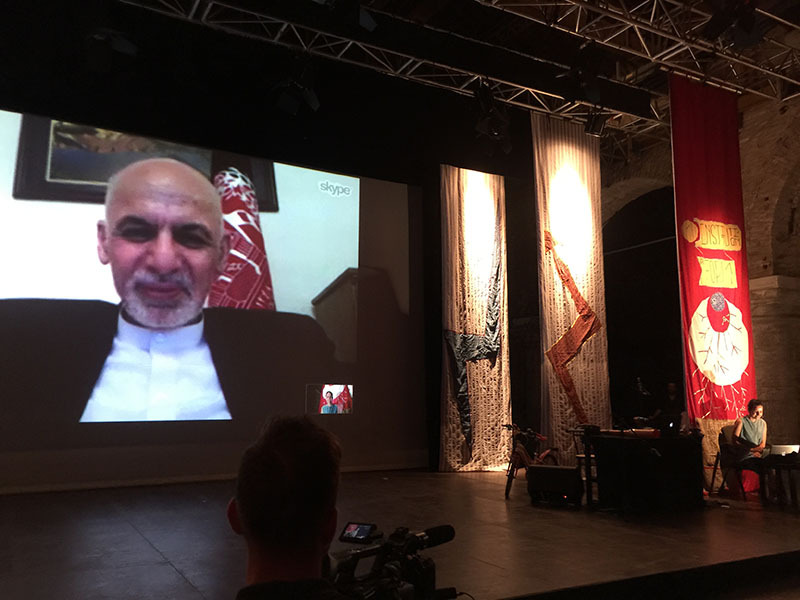 Her questions and his answers focused on the roles of education and artistic creativity in the Ghani administration. 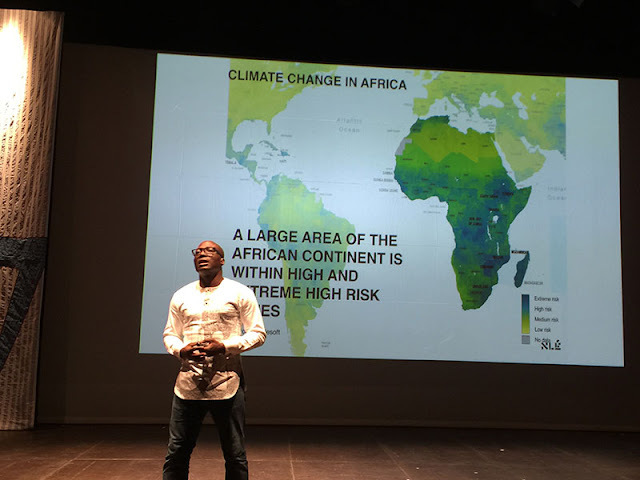 Throughout the three days, international artists-activists-scholars presented their work, including: Kunlé Adeyemi, Hope Ginsberg, Emily Jacir, Koyo Kouoh, Pedro Lasch, Tina Sherwell, Antonio Negri, Gregory Sholette, and Joshua Wong. Round table discussions were held on the third day of the Summit, providing a forum for speakers, moderators, and attendees to share stories and email addresses. An Open Mic at the end of the Summit allowed anyone to share praise, criticism and/or a personal anecdote from the stage. 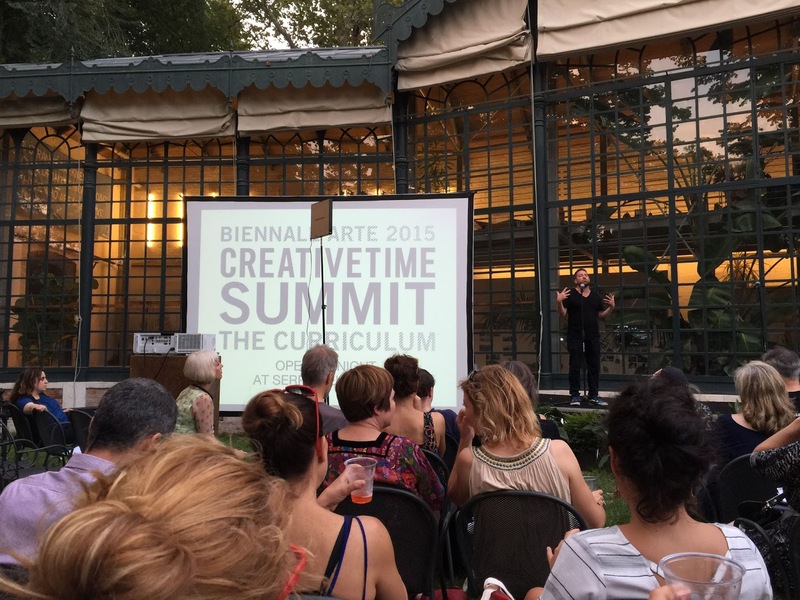 A review of the Summit on the blog Hyperallergic may be found here. 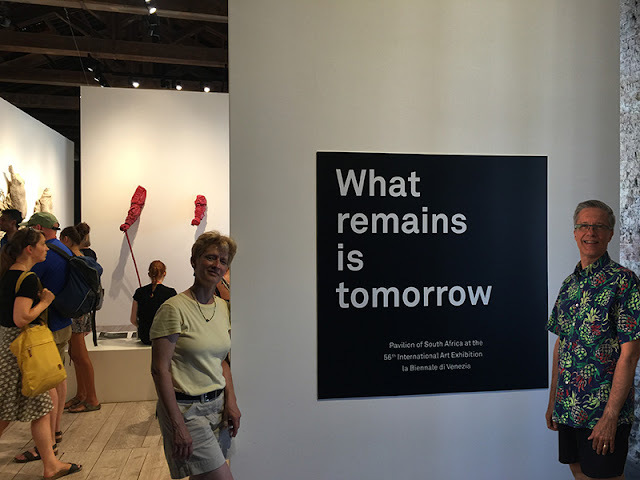 Also noteworthy was the South African pavilion titled "What remains is tomorrow." We were especially moved by a text work titled "Racist in South Africa" by SA artist William Boshoff. The work may be seen here. Of our many excellent experiences in South Africa this summer, only one was destructive. Our rental car was attacked by a man in Johannesburg -- an attempted car-jacking which destroyed some of our equipment, physically wounded us, and caused us to be hospitalized. This unfortunate act of violence, gave us empathy for ALL the people of South Africa. We also would like to say that many South African friends and acquaintances have given us devoted care and stimulating collaboration — we look forward to a better TOMORROW not only for South Africa, but for our "global village." 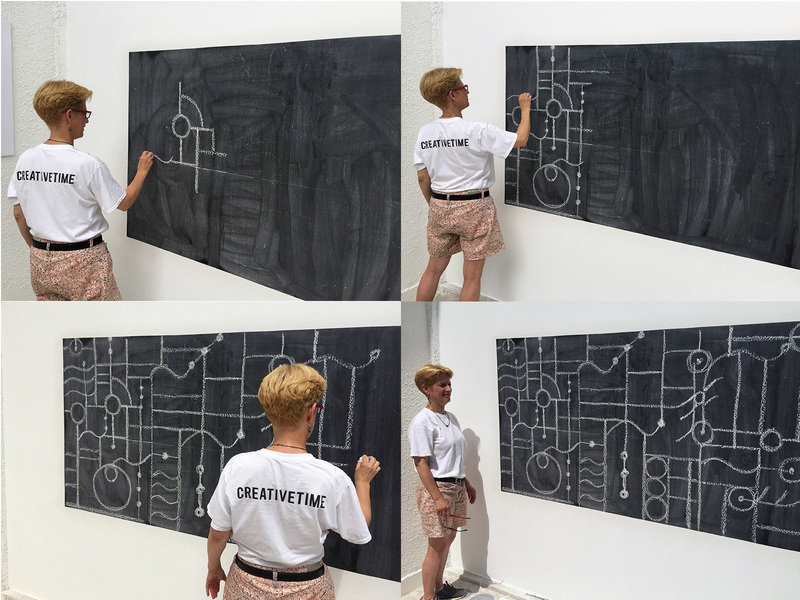 We thank Creative Time Summit and la Biennale di Venezia for an inspiring 3 day conference and ongoing artist exhibition venue.